BC’s sprint coach Jon Norfolk praised the performance of the small British team at last week’s Junior World Track Championships in Russia. 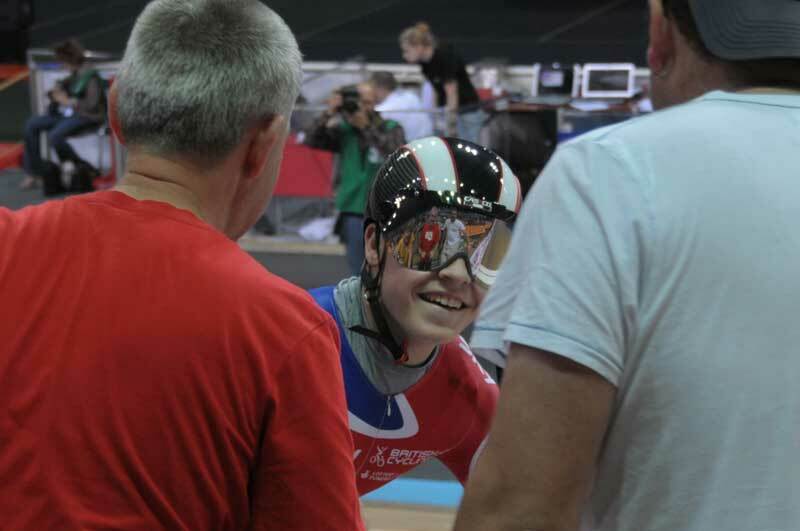 John Paul won gold in the sprint, while Victoria Williamson took silver in the 500m time trial and a sprint bronze. The third member of the squad, Matt Rotherham, finished fifth in the keirin but was plagued by bad luck in the sprint. Upon his return to Britain, Norfolk told CW that the youngsters did themselves proud in Moscow. “The results were very encouraging, and all three of them were extremely mature in how they dealt with everything. “Russia is a very different environment to what they’re used to, the track isn’t that similar to what they train on and they made my life a lot easier despite me being the only member of staff out there,” Norfolk added. He spoke highly of all three riders, and believes they all have the potential for great things. “John Paul didn’t let the pressure get to him, and did himself proud on and off the track. “Victoria only trains on the track once a month, yet was performing well against full time riders. She clearly has a lot of power that we hope to develop in the coming months. The Mule Bar Girls’ squad teamed up with Oakley on Thursday evening (August 18) to raise just shy of £2000 for The Lavender Trust at Breast Cancer Care. Cycling enthusiasts packed out London’s Look Mum No Hands cafe to see the premiere of the Mule Bar Girls film before a charity raffle was held. Event MC and commentary ace Anthony McCrossan warmed up the crowds while Team Sky’s Alex Dowsett presented and signed his Smithfield Nocturne winning skinsuit to a happy winner. 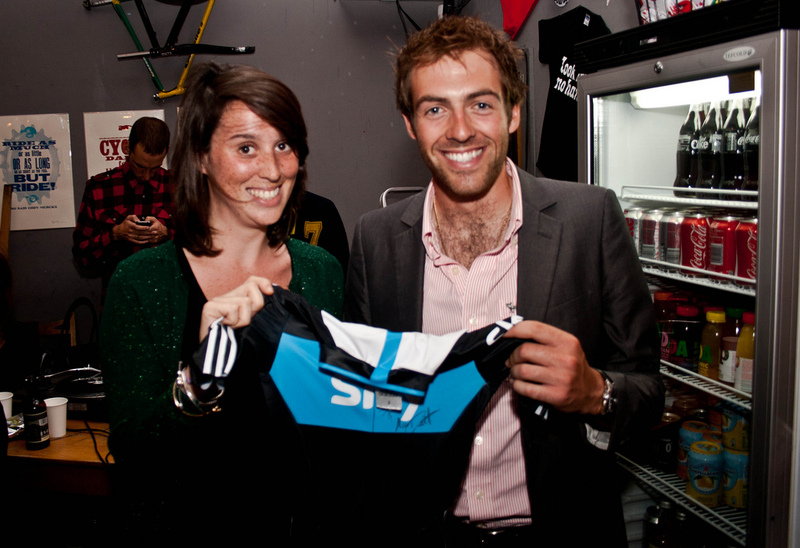 The overwhelming support from guests and big brands such as Oakley, Madison, Rapha, Mongoose and La Fuga made for a highly successful fundraiser. You can still make donations by clicking here, and the team’s film can be viewed here. Southdowns Bikes CC’s Parham Kermesse takes place this Saturday (August 27), and entries are still available. Forming part of the Surrey league, a 3/4 cat 35-mile race starts at 9.30am, with a 50-mile event for 2/3 cats starting four hours later. Entries can be made online here – fields are limited so the organisers are advising people to book in advance. Chingford’s Dan Crawley (PCH UK Racing Team) makes his international racing debut at the Tour of Mauritius today riding for the Mauritian national feeder team in the country’s UCI recognised five-day stage race. The 32-year-old qualifies for the squad as his mother was born in the country, and his only previous experience of racing outside the UK came in Belgian kermesse events. A senior manager for BT, he helped set up the Essex-based PCH UK Racing Team, who are perfoming well in the Eastern Road Race League. However, the six-day race will be the longest event second-cat Crawley have ever ridden. “I’m going at what is the Mauritian winter but that’s still far warmer than one of our winters so I don’t see the climate being an issue,” he told the Essex Chronicle. Explaining how he was offered the chance to ride, Crawley said: “It’s got to be every riders dream to race for their national team and I’m no different. I simply e-mailed their cycling federation and it went from there. The race begins with a split stage, starting with a 19.3km time trial in the morning followed by a testing 97km road race. Three further stages await before the race concludes with a 72km criterium. Team Sky’s Chris Froome won a stage in the event six years ago. Mildenhall CC will celebrate their 25th Cycling Rally over the forthcoming bank holiday weekend (August 27-29), and are hopeful of a record number of enthusiasts flocking to the event. The festival grew quickly in the 1980s, with riders from across the country attending and Mark Burchett, a co-organiser, believes the ideas behind the first rally still exist today. “It is very much a family orientated event with as much to do off the saddle as on it. We have stayed very true to our original aims of providing a weekend with the whole family in mind in a relaxed atmosphere,” he said. One of the many highlights will be the grass-track races, which have already attracted a record number of entries, with over 125 riders signed up and more expected to enter on the day. As well as the British Cycling National 8km Championship, there will be another commemorative event, the Mildenhall 25-lap Grand-Prix. All the current reigning grass-track champions have signed up: Dave Heald (VC St Raphael) will defend his 400m & 800m titles, Endura Racing’s Evan Oliphant is the reigning 8km champion and Joanna Smith (Border City Wheelers) will want another win in the ladies 800m race. Other competitive events include Go-Ride skill tests for children (Saturday), a children’s duathlon (Sunday) and Madison & Cyclo-Cross events (Monday). Furthermore, the Suffolk DA will be organising 100, 200 and 300km Audax rides on the Saturday, while touring information detailing routes ranging from 10 to 60 miles will also be available.